I don`t have the DVD version of this concert, but I still have an old Beta videocassette of this concert. The years 1986-87 represent,IMO, in the history of this band, the most commercially successful. This concert was filmed in July 1987 in Wembey Stadium, during the last dates of the long "Invisible Touch Tour" which started in September or October of 1986. I recorded from the Radio in a cassette a concert from the L.A. Forum from October 1986. In that 1986 concert, Phil Collins still reached the high notes of songs like "Tonight, Tonight, Tonight", but in this 1987 concert his voice sounds tired in this song and in other songs, like "Mama". 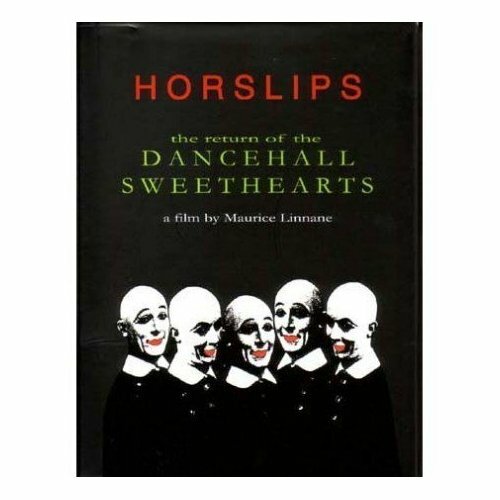 The video starts with humorous appearances in the stadium screens of the band backstage on the way to the stage, with Collins doing movements with his hands and body like he is a boxer going to a Ring. The "Invisible Touch" album is represented here with several songs which sound better played live. Drummer Chester Thompson again shines in this concert, and Daryl Stuermer plays the bass in several songs while Mike Rutherford plays the guitar. In general the band sounds very good. Phil Collins`humour is very present, too. But in this tour Mike Rutherford left behind his double necked bass-and-12 string guitar. He only plays individual guitars and basses.With the exception of "Los Endos", this video only has songs from some of the albums which they recorded as trio until "Invisible Touch". 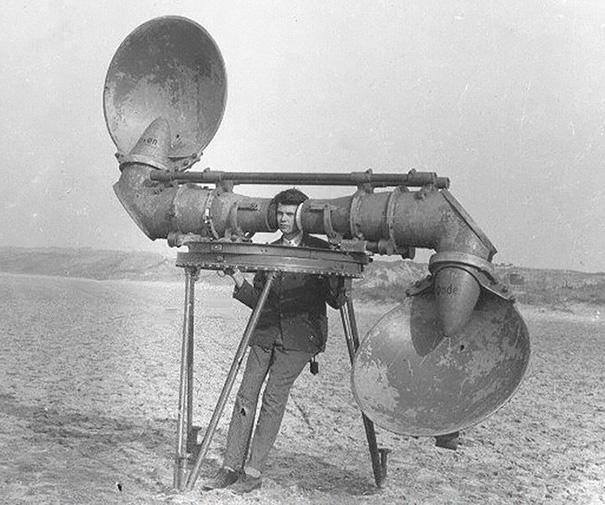 But they also played an "Old Medley", not included here, which is available on some bootlegs, which has "In the Cage"-"In that Quiet Earth"- "Supper`s Ready" (from" Apocalypse in 9/8" until "As sure as Eggs is Eggs"). In general, this video is very good mostly for the fans of the trio years of Genesis and for the fans who understand the changes of bands like Genesis. Stay away, Gabriel-era fans. This is poppy Genesis all the way, and pretty good fun at that. These were massive concerts and the band seems to be having a lot of fun .The sound and visuals are excellent. Presumably this was originally a video, and the transfer to digital is well done. 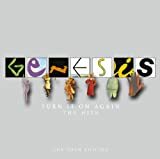 All of the mid 80s Genesis favourites are there, from "Turn it on Again" to "Invisible Touch". The highlight of course is "Los Endos", on which Darryl Steurmer shows his considerable chops. The lowlight is the cheesy medley in the middle of "Turn it On Again", featuring Collins dressed as John Belushi in "The Blues Brothers". Unnecessary, Phil. The extras are interesting, featuring interviews from the tour, in which Mike Rutherford shows himself to be a bit of a cheeky bugger. Unfortunately, the section is also frustrating, as the band members explain how they chose to do a lot of seventies material on the tour, and brief snippets of 70s classics being played are tantalizingly shown...hey guys, why not restore some of that film and put out a Part II? 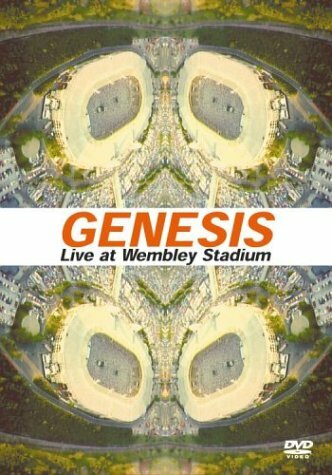 All in all, however, this DVD is a good representation of what Genesis were up to in 1987, take it or leave it. 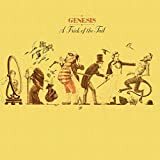 Genesis has been in my life since my childhood when I heard "The Musical Box" at the first time and explored other albums of the band. This "Live at Wembley" DVD show cast the band's performance with mostly their newer material when they went pop. However, this does not mean that this is a bad DVD at all. I n fact this is an entertaining live concert - overall. With an opening scene of the venue's view from helicopter backed with the rhythm section of the band's hit "Mama" has made this DVD is entertaining. As usual, during concert sessions there are two additional musicians: Daryl Stuermer (used to be with Jean Luc Ponty) on guitar and Chester Thompson on drums. The concert itself can be considered as "Invisible Touch Tour" concert as many songs of this album were featured in this live set. The performance flows naturally from one song to another in a pop rock scene concert with excellent contribution from the band members. Fans of early Genesis would enjoy the "Los Endos" song here. Of course, you wouldn't get Steve Hackett playing guitar but you have Mike Rutherford instead. I also enjoy the "Drum Duet" by Chester Thompson and Phil Collins. Both of them are great drummers. Chester Thompson has excellent characteristics with his stroke variants and firmed beats while Phil Collins has many syncopated beats. The combination of these two drummers results in great harmony. Songs like "Land of Confusion", "Home By The Sea", "Tonight, Tonight, Tonight" and "Throwing It All Away" are good attractions as well. Even though this live DVD might disappoint the band's early fans base, it might satisfy most of younger generation and wider audience base as the music is much accessible to many people. It's a good live concert DVD, but not essential. An invisible touch edited away the best parts! 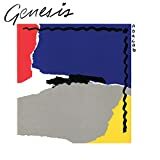 With the exception of only one track, this live concert DVD covers Genesis' albums from 1980 to 1986, with a very heavy emphasis on their then most recent release - Invisible Touch. Indeed, there is only one track on that album that is not also on this DVD! 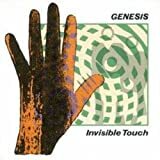 Invisible Touch is one of Genesis' worst studio albums ever. However, all of the songs here with the possible exception of The Brazilian (that features a horrible crash cymbal that sounds completely out of place) sound better live than in their studio versions. So, if you are choosing between buying the studio album or buying this DVD, I would definitely go for this DVD. If you already have this DVD there is no reason to buy the Invisible Touch album (except for completing your collection). The title track from the Invisible Touch album is possibly Genesis' worst hit song ever, and also the low point of this DVD. But even this song sounds slightly better live than on the studio album. Even if I'm primarily a fan of 70's Genesis, I can still enjoy this DVD to some degree. It is, after all, a pretty good show! The sound and picture quality is good (as opposed to the Live In London DVD, for example). However, this DVD would be a lot better if the complete concert was included. But some parts have been edited out, apparently including a section featuring some more songs from the 70's including a piece of Supper's Ready! 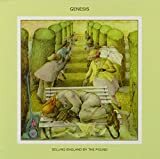 The best selections that survived this awful truncation are Los Endos, Home By The Sea/Second Home By The Sea (which probably is the closest Genesis ever came in the 80's to their 70's glory), Abacab (that actually rocks here! ), Domino (easily the best track from the Invisible Touch album). The closing song, the classic Turn It On Again (a song that I normally like a lot) is destroyed here by a weird and very ill-advised medley of other people's songs and a visual interpretation of The Blues Brothers. At this point I cannot help comparing this DVD with other Genesis and related DVD's. One other Genesis DVD that I have is called The Way We Walk, and comparing these two is becomes painfully obvious how lacklustre this one is. The Way We Walk features most of the same songs, but also many others, in mostly better versions. Turn It On Again, for example, is played as it should be and Domino and Home By The Sea are just as good there as they are here. 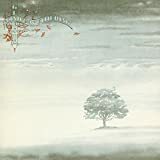 Also, The Way We Walk features a full show, with much more songs from the earlier, more progressive, parts of Genesis career. Further, The Way We Walk is recorded and filmed indoors which is always to be preferred over outdoors concerts in my opinion. Another better DVD is the Live In London DVD that was filmed in 1980 on the Duke tour, and also the amazing Steve Hackett DVD The Tokyo Tapes (which features several old Genesis classics). In that respect Live At Wembley Stadium just isn't a very good product. I used to rate this DVD with three stars, but two and a half is a more accurate rating. Genesis at the height of their commercial success. This concert was recorded at Wembley stadium (of course) induring their Invisible Touch tour in 1988. A friend gave me this DVd and I must say it took me quite a long, long time to finally have the patience to watch it. Yes, patience, since I had already their double DVD The Way We Walk that has a much better tracklist. One look at the cover of Live At Welbley and any prog rocker will cringe: only one song (Los Endos) is from their ´golden era of prog´. the remaining stuff comgion directly from their most popish phase (the 80´s). So I was quite surprised of how much I ended up enjoying it after I finally put it on. Maybe is because I was not expecting much. But the fact is: even at their most commercial, Genesis still is good. And they are way better than most of prog bands that tried to go pop at that decade (only Yes came close, but Genesis did it more consistenly and the transition was much slower too). So while I missed the ´oldies` (which I found out later they did play, but were not included on the DVD), they still prove they could outperforme almost any pop band in terms of professionalism and musical prowness. And Phil Collins, love him or hate him, is a tremendous showman. He knows how to handle the public very well. It is disturbing to see a fine musician like guitarrist Darryl Stuemer playing the bass 90% of the time, but on the few moments he does play guitar, he shows why Genesis chose him to replace Steve Hackett. And the band is very tight, doing some surprsingly good jammings on some songs (Abacab is a good exemple of how they can rock). the sound is perfect and the lightning is great. The only track I really didn´t like is, ironic enough, the instrumental The Brazilian (one of their weakest numbers ever). However, they did have the good sense to play Home By the Sea, their most progressive and powerful tune in several years (it could be on Selling England By the Pound). that song alone is worth the price of the DVD. But there is more. Conclusion: if you like their 80´s stuff, this DVD is quite good and recommended. I still think The Way We Walk is way better (sorry for the pun), but Live At Wembley does have some charm. Not essential in any way, but good. 3 stars. 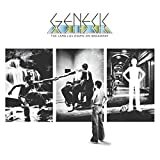 Post a review of GENESIS "Invisible Touch - Live At Wembley (DVD)"